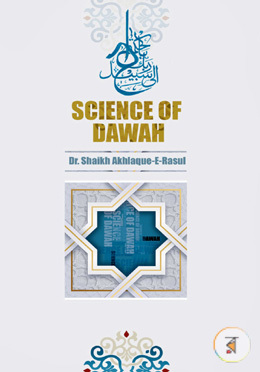 The present book, Science of Da’wah (علم الدعوة), is a new dimension of thought process which has not been mentioned in the Islamic literature. However, the most high Allah Rabbul ‘Alamin has introduced the matter of Da’wah (Invitation) in a scientific way in the verse 125 of Nahal. In this verse, the philosophical terms Wisdom (Hikmah – حكمة), Sermonizing (المواعظ) and Argument (جادل) are connected in a logical fashion. Therefore, in the present book the wisdom tringle, wisdom process tringle, Da’wah methodology, structure of a Da’wah organization, decision making process of a Da’wah organization, perspectives of sermon, sermonizing technique, science of argument, appearance and approach of arguer (Daa’ee), and few selected topics of argument that are usually a Daa’ee faces during Islamic Da’wah works are explained.